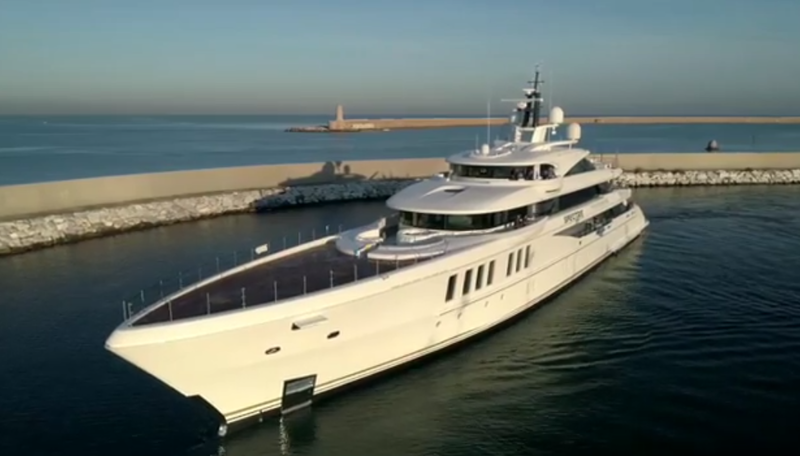 After 750,000 working hours to build it, today at its facility in Livorno, Benetti has delivered a unique in the world 69-meter full custom megayacht, christened M/Y Spectre. The Italian yacht builder has celebrated this achievement with an exclusive and lavish ceremony together with its repeat client, the US couple John and Jeanette Staluppi, experienced owners with a strong passion for James Bond filmography, 50s and 60s sports car adrenaline excitement, and the Made in Italy ethos. 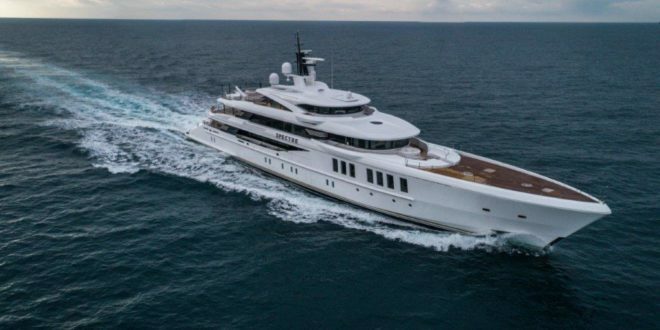 For the Staluppis, Spectre is the third Benetti superyacht built in less than ten years and is the result of various daring challenges: chief among them was to find the perfect balance between sporty allure, high performance and great comfort. 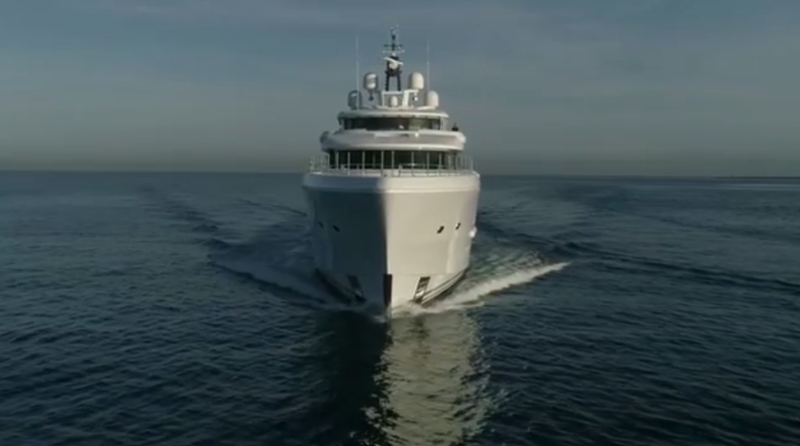 With a steel hull, aluminium superstructure, pool and “touch and go” helipad, Spectre is the third Benetti superyacht built for the Staluppis in less than ten years. The exteriors lines were designed by Giorgio M. Cassetta, hull lines and naval architecture were done by Mulder Design. Staluppi’s wish is to feel the same emotions on board the new megayacht as they did in a motorcar on the racetrack. The main challenge for Giorgio M. Cassetta, who designed the exterior lines, was to create an extremely dynamic yacht with huge volumes. The result is a very “traditional” vessel with a long and sharp bow and extended superstructure volumes that slide towards stern. Huge attention was focused on the connection between exterior line detail and interior design: the outdoor fixed furniture has been designed and custom made to correspond with the interior focus on shiny teak, black lines and steel. The strongly sporty appearance was achieved by the volume and proportion fluidity. 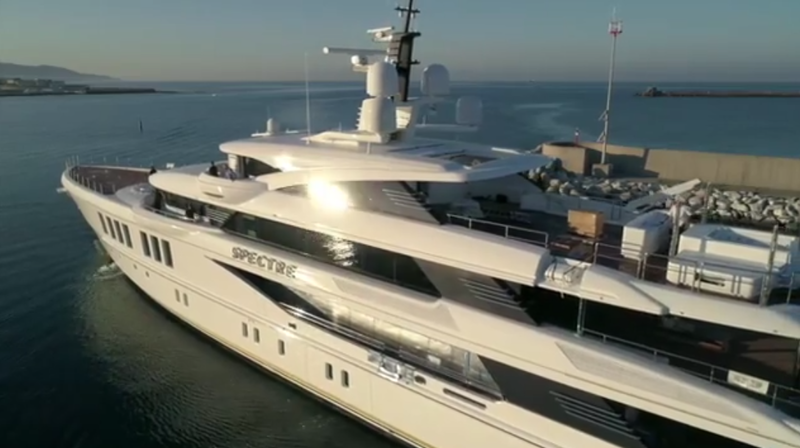 All of which contribute to making Spectre a yacht equal in performance to an aluminium yachts. The contribution and support of the Dutch firm Mulder Design, which was responsible for the structural design, the hull and the propulsion system, was hugely important in this achievement. Due to many clever measures the weight of the yacht has been reduced considerably. The performance, of what Frank Mulder, founder of the eponymous studio, has baptized as the “High Speed Cruising Hull”, is incredible. The maximum speed is 21.2 knots, 30% higher than a traditional displacement hull and the autonomy is equal to 6,500 nautical miles at the considerable speed of 12 knots. Spectre also features Naiad Dynamics Total Ride Control® technology1, installed for the first time on a yacht of this type. Originally developed by Naiad for commercial and naval ships, thanks to the collaboration with Mulder Design, this technology was later configured to be installed on board Spectre. The active system ensures a significant increase in navigation stability and improved on-board comfort thanks to two roll stabilizing fins, two forward pitch control canards and three independently controlled stern interceptor blades. “I love Spectre: it is a perfect example of a virtuous synthesis between the owners’ and the builder’s cultures. John and Jeanette Staluppi, with their great experience and energy, have led us to imagine a yacht complete with everything you could wish for boats of this size. 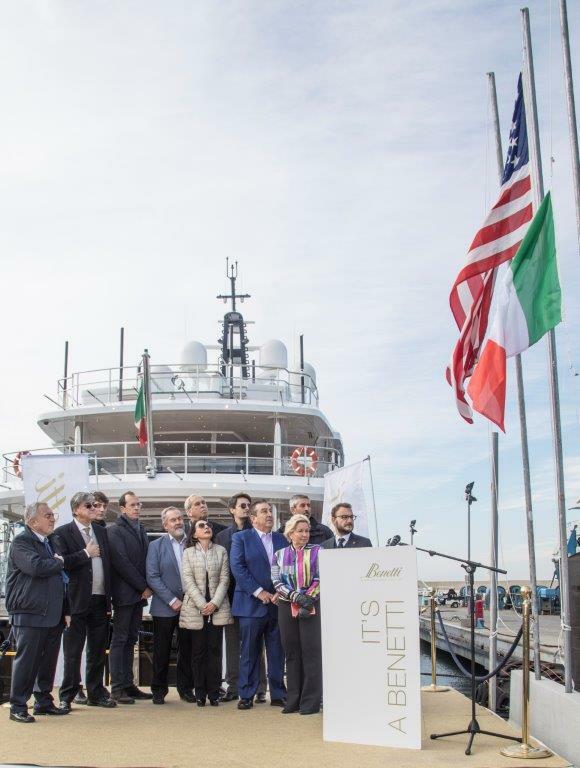 Benetti has taken up the challenge and has created a yacht with many technological innovations respecting the highest quality standards”.